What Is The Purpose Of The Mobile Workbench? 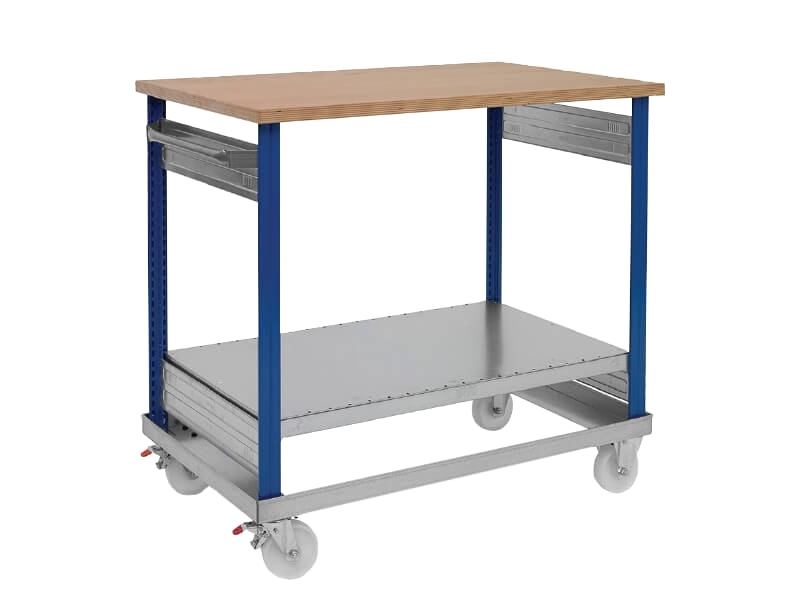 The mobile workbench can be used to transport materials around an office or shop. It is able to be easily moved with swivel and fixed castors and can be transported on a regular basis without much wear happening to the castors. It is able to be used in light and medium duty environments and the tabletop provides ample working space when it is not being used for transportation. 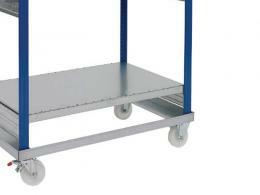 It is made to create easier transportation in office and shop settings because it wheels the desired materials, tools and pieces of equipment where they need to be. It can be used in any environment that has a light to medium workload duty. It is most often found in offices, kitchens and shops. It can also be used in garages because of its ability to transport even medium weight materials. It is made for stability and provides the user with a sturdy option for transportation. It can be used on somewhat uneven floors, but it should not be used in pitted gravel or on uneven outdoor surfaces like grass. 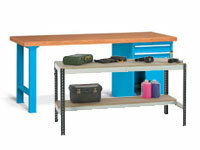 Anyone who needs a mobile workbench can use this workbench. It is easy to use and easy to put together. It comes packaged flat to ensure that the user is able to get the product and take it where they need it to go. The instructions that come with the product for assembly are easy to understand and can be used by nearly anyone who wants to put it together. While it is a favorite of shop owners, doctors and kitchen managers, the options for who can use it are nearly limitless and it can be used based on any need that you may have. The worktop is made out of beech wood and is coated to ensure that it is protected and resistant to wear and tear. 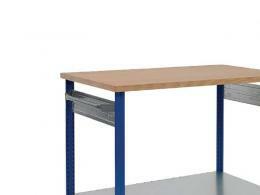 The framing of the workbench is made out of tubular steel which provides an ample amount of strength for the medium duty materials that can be placed on it. It is covered in a gray epoxy to ensure that it is aesthetically pleasing as well as functional. It is strong and comes with a warranty to ensure that you are getting a product that is covered for one year of parts and labor.